2016 continues to be a year that seems unusually packed with deaths of musicians. News has reached us of the passing at the age of 67 of long-time Nektar guitarist and singer Roye Albrighton. Albrighton co-founded Nektar in 1969 in Germany, though the band was primarily English. Their incorporation of light shows into performances became one of their trademarks, and light man Mick Brockett was considered a member of the band. Their music contained elements of progressive rock, psychedelic rock, and space rock, forging a distinctive style all their own. Their first three albums, Journey to the Centre of the Eye (1971), A Tab in the Ocean (1972), and Sounds Like This (1973, may not have met with commercial success at the time, but have come to be regarded as important bridges between psychedelic rock and progressive rock. It was their fourth album, Remember the Future (1973), that became their defining statement. 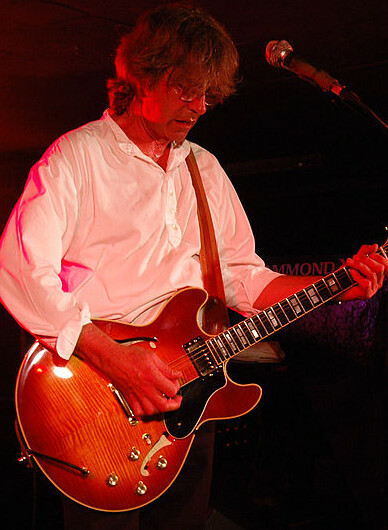 Albrighton appeared on all of Nektar's albums through Recycled (1975), then left the band for a time, but was back in the fold for 1980's Man in the Moon. This was the final album of the band's initial run. Starting with a 2002 appearance at NEARfest, Nektar resumed activity, releasing five more studio albums with Albrighton in the fold. Roye Albrighton's passing comes after a lengthy illness. He died in Poole, Dorset.